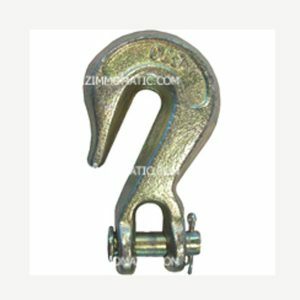 The 5/16″ x 25ft Binder Chain is grade 70 material. With a span covering 25 foot, this chain is hard to beat for service. You will receive years of service from these binder chains. Make a good investment in confidence that your load is under control; buy a 5/16″ x 25ft binder chain. Purchase peace of mind today. 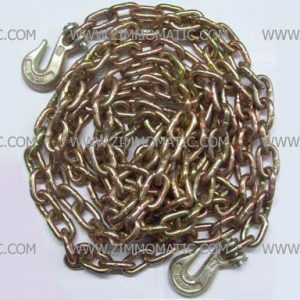 If you are looking for a heavy-duty chain with considerable length, you have probably found what you are looking for, the binder chain, 5/16 inch x 25 feet. Although these chains may seem quite costly up front, you will find out it is certainly worth the price to obtain peace of mind. Here at Zimm-o-matic, we specialize in easing your mind so you can settle into that seat and focus on the road rather than the load behind. Find the value of confidence in your load chains. We also stock 5/16″ x 16ft, TSBC516X16, and x 20ft, TSBC516X20, binder chains. You can order these three sizes in 3/8″ chain as well.